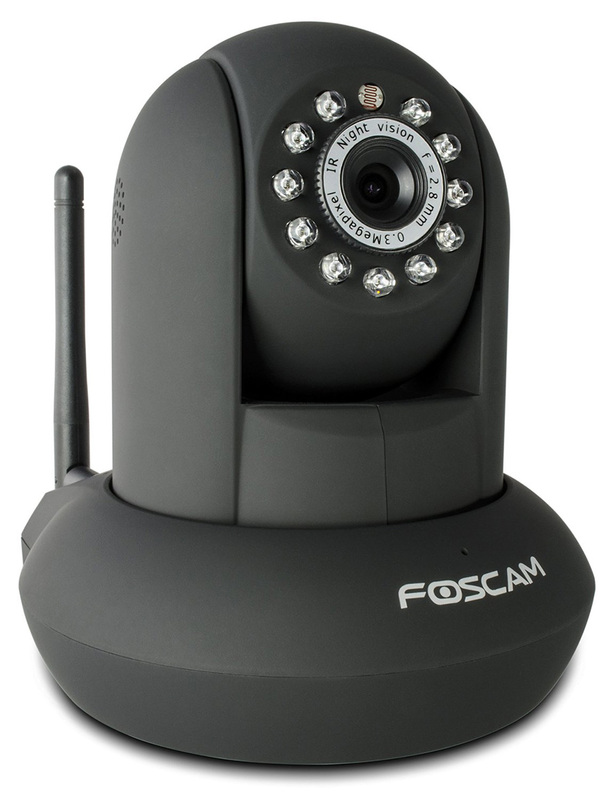 It’s amazing how much the Foscam wireless IP Camera can do! The popularity of these IP Cameras has exploded and it’s hard to know which ones are worth buying (there’s a lot of junk out there)! It used to be that only the wealthy could afford home security cameras but now you can pick a high quality camera for around $60! And all you need is an internet connection to run it. There are a few small warnings that I will go over and hopefully clear up a lot of confusion about this awesome wireless IP Camera. The main reasons I bought this camera was to watch over my pets while I was away, to add a level of security in case of a break-in, and to keep an eye on anyone who came into my home for repairs (plumber, baby sitter, room-mates). 1. Rooms with bright light and dark shadows can sometimes be a bit jumpy. I’m not sure why this happens but it’s annoying if you have your “Motion detection” set on high sensitivity and it constantly goes because it senses false movement. One way around this is to either turn down the sensitivity of “Motion Detection” or move the camera to a different position to avoid the bright light. 2. The set up process! I’m more experienced than the average person when it comes to computers but it still took me a few hours to set this thing up. Now you can pay Foscam to do it for you and if you’re not good with computers I recommend you doing this. They will remotely log into your computer and set everything up for you! The price is between $20-$40. OR you can always ask your friend who knows everything about computers. Foscam makes really good camera’s and they’re constantly improving!I would rate this IP camera as excellent, just make sure you set it up correctly (Foscam can do it for you) and you’ll have a really feature rich security camera that you can view anytime on your phone or computer while you’re away!